This epic battle of the bands drew an amazing crowd. 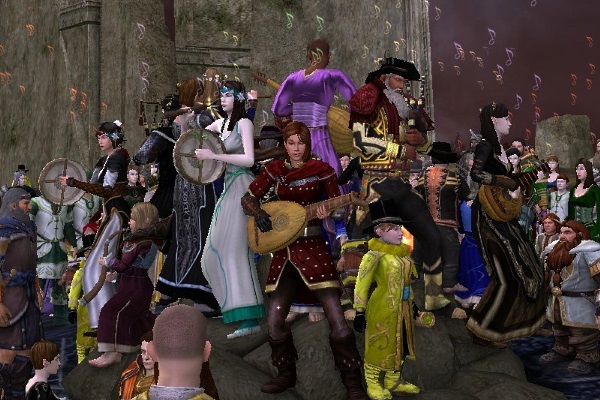 The final attendance number was 945 for players logging into LOTRO to enjoy the show, and nearly 1,000 attending through the various live streaming options. 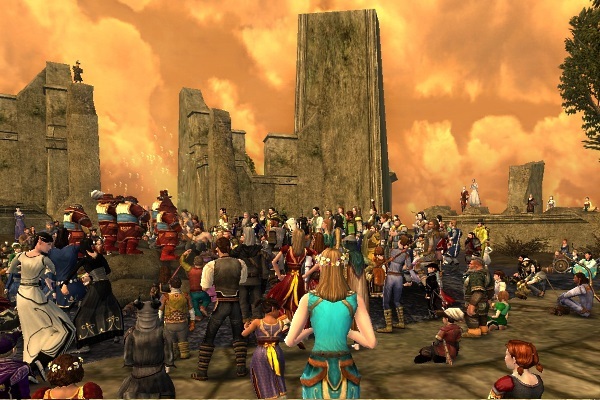 The Weathertop region crashed twice under the strain of cheering fans. In fact, there were 20,215 cheers logged during the main event. The voting was very close and the polls were open for quite some time. After all the votes were counted, the People’s Choice was none other than “The Remediators”, followed by “The Rolling Kegs” in second place and “Die Meisterbarden von Bree” in third place. In the Lonely Mountain Cup, the Remediators and Rolling Kegs again took the top two awards, followed by “Starlight”. The Lonely Mountain Band played a little music to close out the evening, followed by a mounted procession back to Bree-town. Many thanks to the hard-working volunteers who make these events possible – band members, announcers, vending team, security, roadies, live stream hosts, and advertisers. Special thanks to Turbine for providing prize codes. We hope to see you next year at Weatherstock 8!